Left: Limit mobile data usage. Right: New Data Saving mode. When you tap to enable the new mode, you'll be greeted with the pop-up explanation at the top of this post. 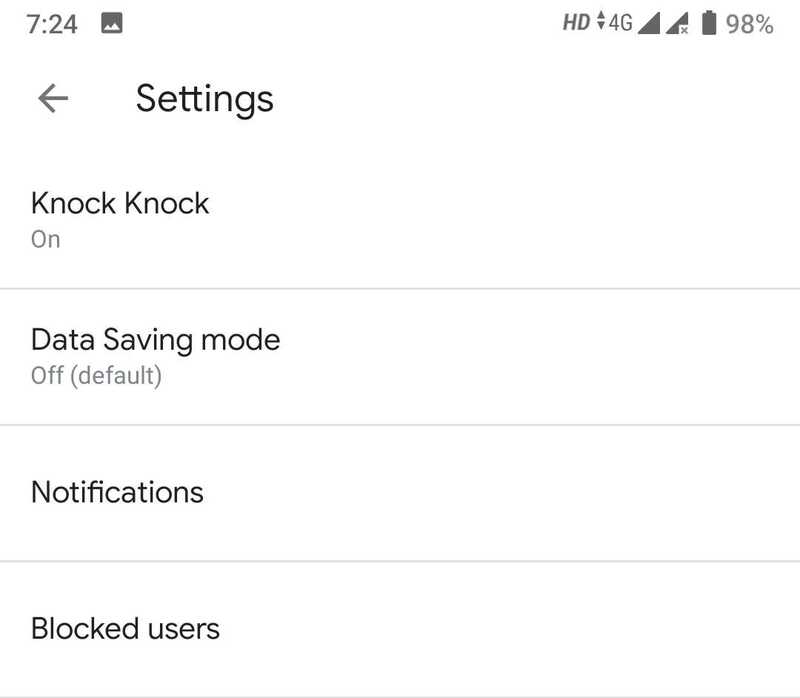 It says that Duo does automatically save data on mobile connections, but turning this setting on increases the savings and works on WiFi as well. 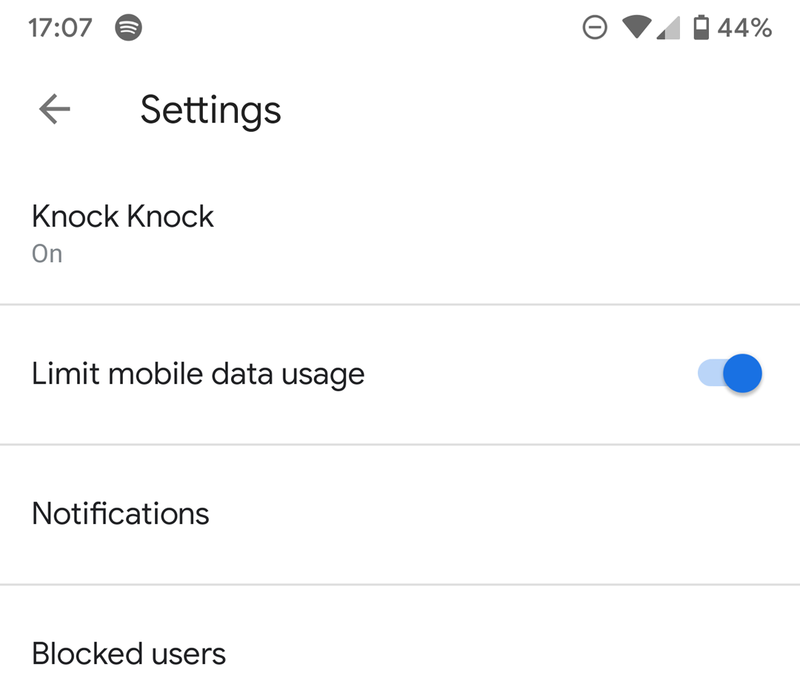 So if, like me, your home internet has a pathetic consumption limit but you still like to video call family or friends a couple of times a week, you can do so without worrying about it eating up all your bytes. 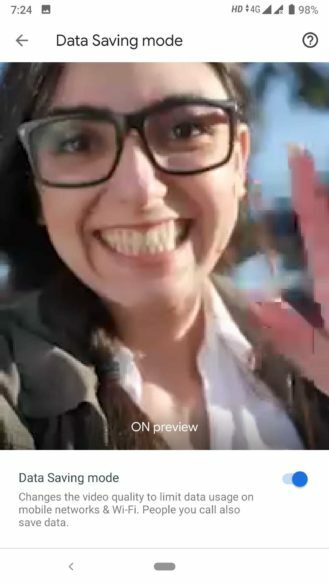 As a bonus, the people you're calling will also save data because they'll send and receive the lower-res video. Left: Preview without data saving. Right: Preview with the mode activated. 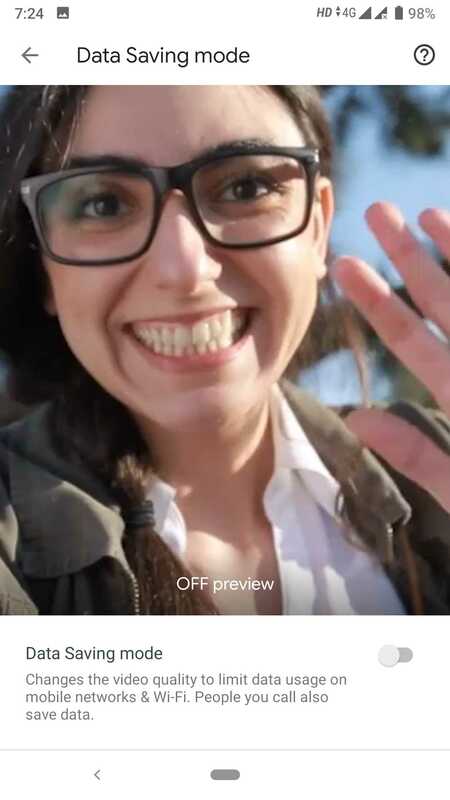 Before you activate the feature, Duo will preview what a normal uncompressed call looks like and then what happens when you turn on the data saver. That way you can see if you're willing to make that compromise and enable the setting for all calls, or if you'd like to keep your high-quality video stream. 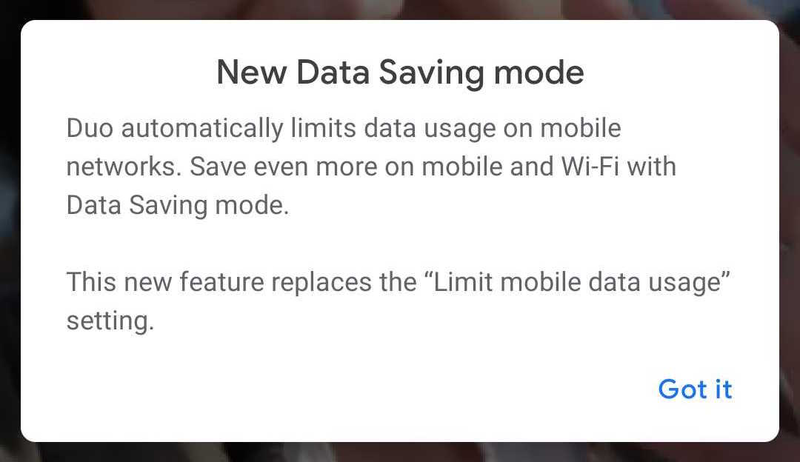 The switch to the new Data Saving mode is happening server-side, so you'll need to be patient if you don't see it yet. To improve your chances of getting it, make sure you're on the latest v51, which is available on the Play Store or APK Mirror.